It’s been an exciting few days at IFA where we’ve seen a lot of great activity in the PC sector, mostly focused around Ultrabooks, hybrids, touchscreens, and Windows 8. Nils has been on hand at the event and has kept us thoroughly up to date on developments . 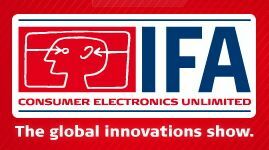 If you’re looking for a summary of all of the interesting news from IFA, this is the post for you! Asus really surprised us with a range of new Ultrabook announcements at IFA. There’s the U500VZ, a 15-inch addition to the Zenbook line with full number pad on the keyboard; interestingly it doesn’t look as though the U500 is a genuine Ultrabook despite being part of the Zenbook series. The AsusPro BU400 is a business-oriented Ultrabook with a spill resistant keyboard (more details here). The S6 is another interesting value option with Nvidia graphics and an HHD. The U38 is a mainstream touchscreen laptop with Windows 8. Asus also talked again about the Asus UX21A with touchscreen that we saw back at IDF a few months ago — we expect to see this launching by the end of the year. Asus had on display the Vivo Tab, an 11.6″ device running Windows 8 on an Atom processor. This is smaller and will be lower cost than the Asus Transformer Book Ultrabook. Toshiba was the first to take the veil off of a hybrid at IFA, a trend you’ll find quite apparent at IFA this year. The U920T is a slider-style hybrid which has a screen that slides down over the keyboard to allow the device to be used like a tablet with the touchscreen. Of course this will take advantage of Windows 8’s new touchscreen interface. The next car on the hybrid train is Sony’s Vaio Duo 11, another 11.6″ sliding style device. This one isn’t a genuine Ultrabook, but it is using a Core i5 Ivy Bridge processor which means that it will have similar CPU and graphic performance. See the full specs on the Vaio Duo 11 here, and check out the hands on video right here. Asus has been teasing the UX21A with touch for a little while now. Although the non-touch version UX21A has been on the market in several countries, it’s yet to hit the US. We’re thinking the touch version might be how we’ll see it in the states and probably before the year is out. Asus was demoing the UX21A Touch at IFA this week. Samsung confirmed that the Series 5 Ultrabook will be offered with a touchscreen for Windows 8 — clamshell devices with screens shaking as you poke at them still worry us! Samsung takes the wraps off of a transformer-style hybrid. This is an 11.6″ Windows 8 slate that connects to a keyboard dock with a battery inside for your choice between a tablet or laptop experience. Samsung will also have a lower-cost Atom powered version, the Series 5 Slate. Unfortunately it doesn’t seem like Samsung will be bringing touch to the lauded Series 9 Ultrabook despite that they’ll be upgrading it to Windows 8 along with other devices. HP gives the Sectre XT a big brother — the Spectre XT TouchSmart includes at 15.6″ touchscreen with a 1080p display, a good upgrade over the smaller siblings 1366×768 screen. Other additions includes an extra USB port and a Thunderbolt port. The Acer Aspire S7 has been a buzzing topic ever since the reveal at IDF a few months ago. This sleek-looking premium touchscreen clamshell Ultrabook is certainly turning heads, but will consumers opt for hybrids instead? The Verge gets a hands-on video. HP joins the hybrid party with the transformer-style Envy X2. This is an Atom powered device, rumored to be the next-gen Cloverfield, though it seems like Intel doesn’t want companies to be specific yet. The unit looks pretty sleek but there are almost no ports on the tablet itself which could cause trouble when being used in tablet mode away from the keyboard dock. More details and some hands-on time with the hybrid slider-style Toshiba U920t and a budget Ultrabook, the U940. Nils gets a hands-on look at the Fujitsu Stylistic Q702, a transformer-style Ultrabook which we’re definitely keeping an eye on. Fujitsu managed to cram an impressive array of ports onto this 11.6″ device. There was also a Samsung Series 9 prototype with 2560×1440 resolution. Screen looked great and non-reflective. Hopefully that will be released as well.